A short walk from St. Andrew’s Park leads you into the heart of Uxbridge town centre and the Underground Station with the Piccadilly and Metropolitan line. The lively town centre offers great shopping with two shopping centres, a bustling high street and an array of busy cafés, bars and restaurants. At Intu Uxbridge, big names include Topshop, Debenhams, Next, H&M and Disney and a large Odeon cinema. The Pavilions offers even more high street favourites including Marks & Spencer and TK Maxx. Just off the high street is the more quintessential shopping experience in Windsor Street which is lined with independent shops and salons. As well as the cinema Uxbridge also offers a variety of leisure offers including health and fitness clubs. You can find out more about events and leisure activities in Hillingdon via the council’s website. 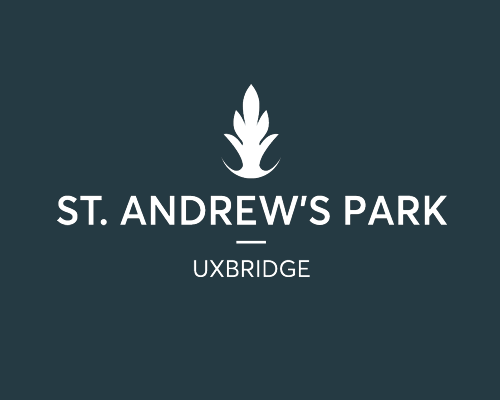 Uxbridge tube station is just a short walk (8 minutes) from St.Andrew’s Park. This station is served by the Piccadilly and Metropolitan lines offering direct trains to Central London. 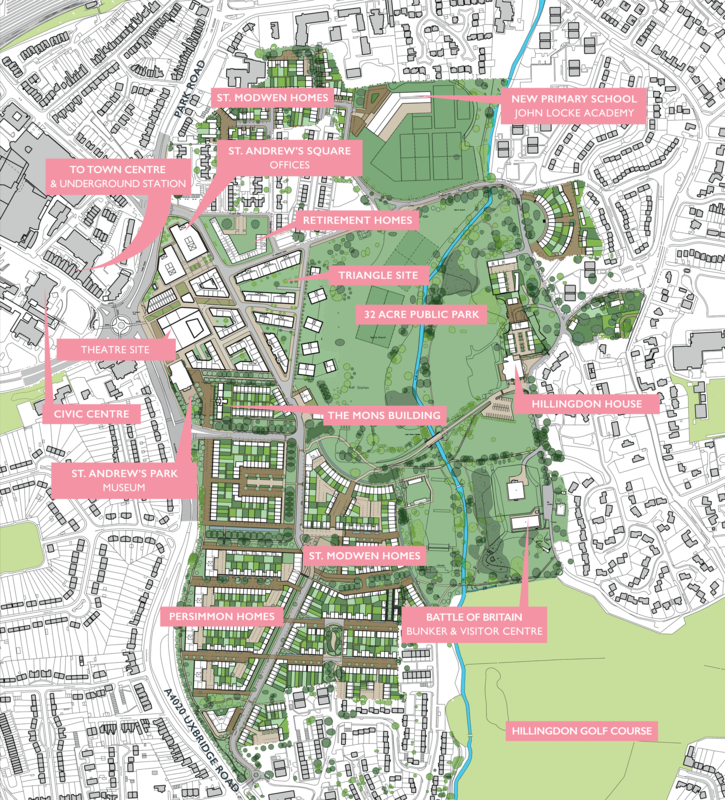 West Drayton is the closest train station approximately 3km (15 minutes cycle time) from St. Andrews Park, and offers connections the national rail network. 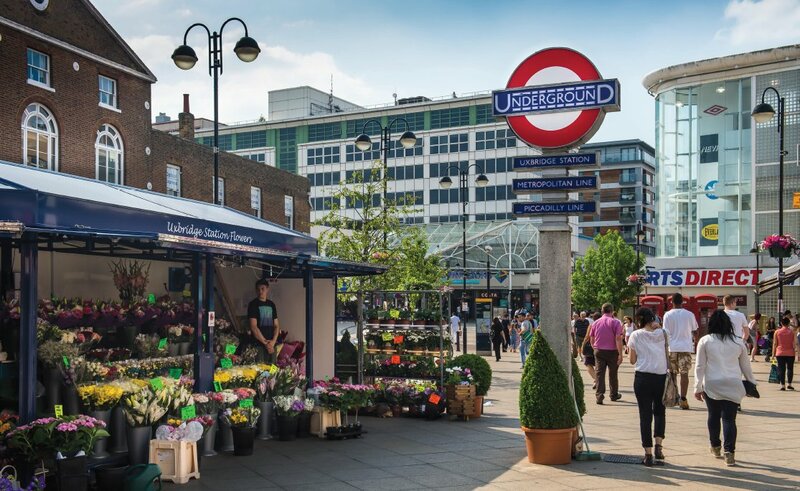 Lively Uxbridge town centre is only 10 minutes away by foot, and offers great shopping with two shopping centres, a bustling high street and an array of busy cafes, bars and restaurants. Hillingdon Road bus stop is located just outside the gates of the St. Andrew’s Park development, providing excellent links to the local area as far afield as West Drayton and Harefield.